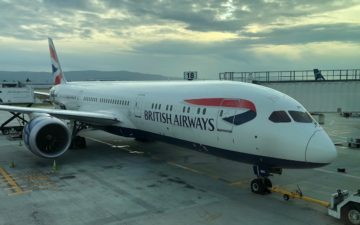 This past June I wrote about how a settlement has been reached with British Airways regarding a class action lawsuit over fuel surcharges. This settlement included all US Executive Club members who redeemed Avios for award tickets between November 9, 2006, and April 17, 2013, and who paid British Airways imposed fuel surcharges. The lawsuit alleged that there was no correlation between British Airways fuel surcharges on award tickets and the cost of fuel, and that this breached the Executive Club terms (they were updated in 2013, which is why this settlement is only for redemptions between 2006 and 2013). The alternative was that members could receive a payment of 16.9% of the total fuel surcharges they paid for all award tickets they purchased during the period, with a minimum of $5. In my case the option was between $837.08 or 35,000 Avios, and I don’t value Avios at ~2.4 cents each. In mid-December I wrote about how those who selected Avios for their settlement saw the Avios posting to their accounts. However, at the time there was no sign of checks arriving as part of the settlement yet. So there’s some good news on that front, as I just received my check in the mail as part of this settlement. This is my first time participating in any sort of class action (as far as I can remember), so I have to say that was just about the easiest $837 I’ve ever made. If you’re like me and have been waiting on a check as part of this settlement, make sure you check the mail over the coming days, as hopefully it will arrive soon. For those who selected a check as part of this settlement, has it arrived? Fantastic. Certainly puts paid to the myth that class actions only result in $0.99 checks not worth cashing and only benefit lawyers (who clearly did a splendid job here). I got mine for $1500 on Christmas Eve. Now that was a good gift! It was interesting though that I never got the email a few weeks ago that others got (including in spam folder). My point being that if you didn’t get the email it still looks like the check will arrive without issues. Why so many British Airways posts? Now I know how you get your mail! At first i thought you sent it to your parents house or something but I never thought of a p.o. box. How often do you go to Seattle? Why don’t you move it to a city you go to often (like NYC or Los Angeles)? @LM, The Law Firm is from Seattle. My check is the same. It does not show the address of the recipient on the check, just the name. @LM that PO box in Seattle is from the Legal team. That’s not Lucky’s PO box. Mine arrived in today’s mail. Checks????? I thought they went out of fashion somewhere in the 1970’s?? This is a joke right? Surely this must be via real time bank transfers. @ Ron, Right? I took my check to the bank today and realized I had not been there in over two years. There was one person working and she looked very sleepy. How is BA still charging ridic surcharges? Any word/update on the outcome of the Settlement for those that filed with Air Berlin regarding compensation for their frequent flyer miles? Just got mine this week. $1400.00 is a lot better than 35K Avios.